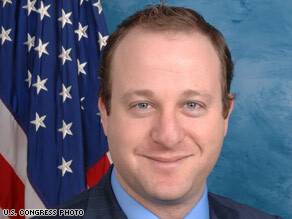 Jared Polis says Congress needed to act quickly on the stimulus bill to reverse the economy's fall. WASHINGTON (CNN) -- Patience, they say, is a virtue. Yet in times of emergency, the government needs to be able to make snap decisions and take bold, decisive action to protect the American people. This is exactly what the framers had in mind when they wrote the Constitution, crafting the various branches of government so they had the ability to expeditiously work together while simultaneously watching over each other's actions to prevent waste and misuse. The passage of the American Recovery and Reinvestment Act, or stimulus bill, as it is often called, is a perfect example in which dire circumstances necessitate immediate action. But with such large amounts of taxpayer money at stake, a hastily developed, under-thought-out plan could have been disastrous. For those of you who have read your Federalist Papers or seen the Schoolhouse Rock music video "I'm Just a Bill," you know that the process of how a bill becomes a law is complex, but necessary. With each vote we make, members of Congress must reflect on and truly represent the changing views of their constituents. Do you know the new members of Congress? Critics of the stimulus bill have questioned whether the conference report was reached too quickly and if enough time was allowed to review the bill's content. Most of the bill, which we have had for two months, remained unchanged. With each revision, Democratic leadership, as well as the White House and the House and Senate committees, worked tirelessly to make the few changes and their effects on states and individuals readily apparent and easily available. Last week, while touring my district and listening to my Coloradans' wide-ranging opinions on the recovery package, a single, overarching sentiment emerged -- something must be done, and fast. As we received and processed the legislation in its various forms, my staff and I immediately worked with community leaders, local governments and the media in Colorado to make the changes and impacts known to the people back home. To further reduce confusion and calm fears, my staff and I took time to personally return as many phone calls and e-mails as possible from constituents who supported and opposed the bill. I was amazed at the misinformation people had received about what was in the bill. Several constituents were somehow under the impression that it raised taxes, when it actually includes more than $300 billion in tax cuts! I went over the benefits of the bill, with special attention to one of the largest tax cuts in American history, which will help nearly 95 percent of working families and help us save capitalism and free enterprise. As a member of the House Rules Committee, which previews legislation and sets the rules under which that legislation is debated on the floor, I can personally attest to the thorough review of the bill. As soon as the text of the conference report was released, we met and worked through the night to ensure that the House would be ready to debate the bill, pass it and send it to the Senate and president as soon as possible. While in a perfect world we would have had 48 hours or longer to review the bill, the compromise with the Senate was a delicate one and with each passing moment, the possibility of the deal falling apart became greater, so we had to move quickly. Every protocol was followed by the book, and the emotion was palpable when Rep. Dennis Cardoza, D-California, nearly broke into tears as he shared how the only County Bank left in his district had just gone out of business. When I finally made it home, around 1 a.m., I crawled into bed weary, but confident that we were prepared for debate. Six hours later, I was back in the Capitol, with bags under my eyes and ready to vote on getting our country moving again. The recovery package is one of the most important votes of my lifetime. I support it because Colorado's families, businesses and students all stand to benefit from its provisions. Not only does it cut taxes and put people back to work building roads and bridges, but it also invests in renewable energy and research and technology that will be of particular benefit to Colorado. Given the great hope we all have for the bill and for Colorado, I am thrilled President Obama chose to showcase our state by signing the bill into law at the Denver Science Museum. As I sat about 15 feet away from history in the making, it was amazing to hear the president of the United States include my name among the people he thanked. He was introduced by a young man from my district, Blake Jones, CEO and founder of Boulder-based Namaste Solar. Namaste is one of many renewable energy companies in Colorado and across the country that will be expanding, instead of laying people off, thanks to the bill's green energy components. This is what the economic crisis demands and it is what the American people sent me to Congress to help President Obama get done.